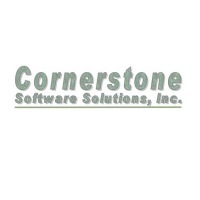 Cornerstone Software Solutions (CSS) provides critical system and software engineering services. The primary customer focus is on the modeling, simulation and training community. CSS staff have an extensive and proven record of success in the leadership, implementation and delivery of reliable innovative product solutions across virtual, constructive and live training domains. CSS is a Woman-Owned Small Business.